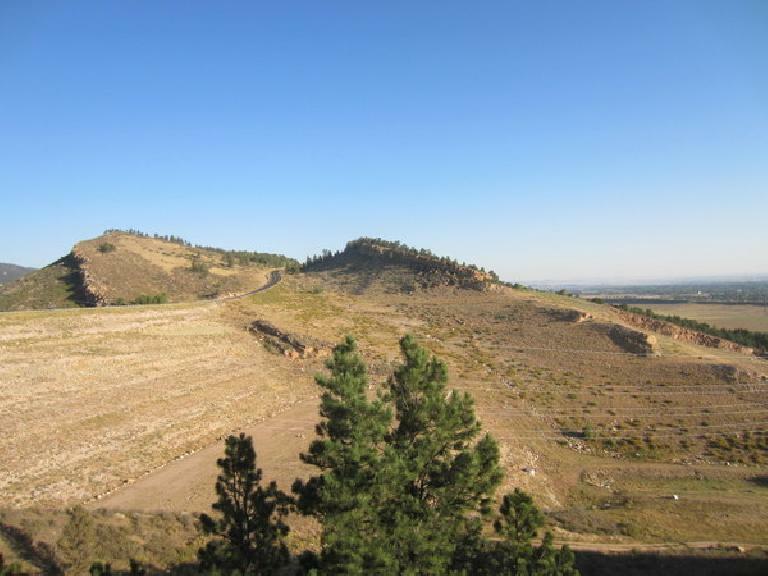 The Torture Chamber is a tidy aisle of rock outcroppings a stone’s throw away from Fort Collins, yet the last time I was here seemed like a different era to me. 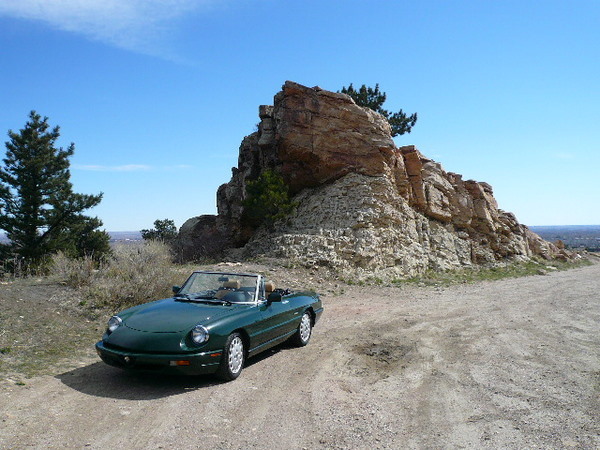 Back then I rolled up to the rock in a Foglio Green Alfa Romeo Spider; on this day I arrived on my soul-stirring naked sport bike, the Buell Blast. 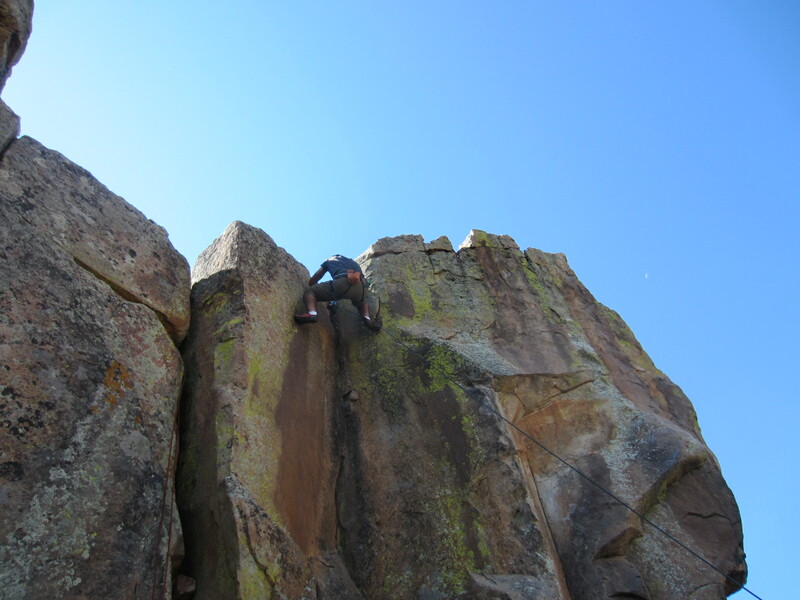 Almost 4.5 years had elapsed between then and now, so I could be forgiven for not knowing there was true rock climbing here and not just bouldering. Or that the rock formations traversed about ten times more land than I had remembered. In any case, I was here—thanks to my friend Raphael who had invited me. 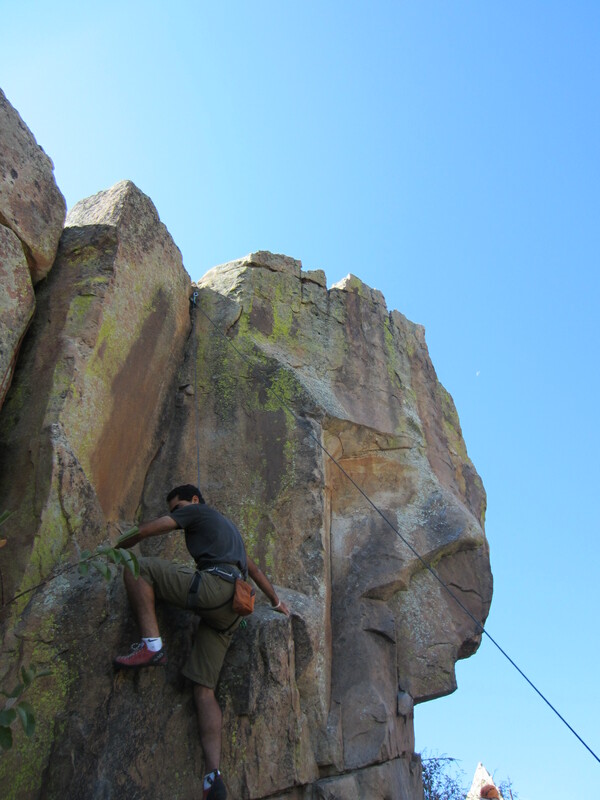 Mehdi too—for this would be the very last chance to climb with him before he moved to Seattle. We invited our friend Katherine too, whom we only had taught how to indoor rock climb the day before. To her credit, she was not scared away by the name of the rock that seemed to suggest immense bodily and psychological pain, nor was she apprehensive about scampering on some sandstone with three guys she barely knew. 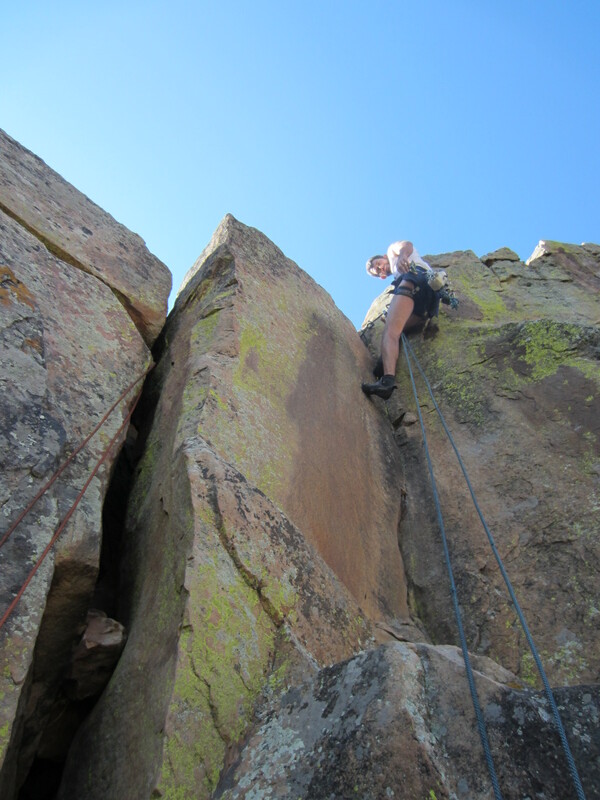 She was a great sport, and before she had to leave, she got her first taste of outdoor climbing—albeit only about 10 feet of it, the rock walls here being barely high enough to necessitate a rope. 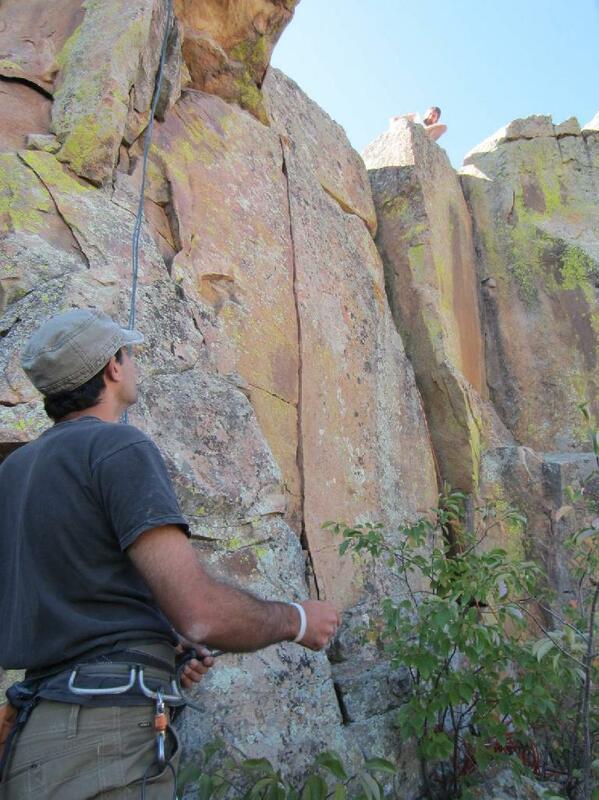 We ended up doing three climbs, including a short crack above a ledge that was 5.9 or 5.10 level. It would be Mehdi’s last climb, and he did it cleanly (better than I, matter of fact). Impressive for a guy who only started climbing about four months ago. The climbs we did were fun despite being some of the shortest climbs I’ve ever done, and I imagine it will be much sooner than 4.5 years to when I will be here next. Wonder what vehicle I will arrive here with then.